Not only are these Full Cheek Bits made of high quality metal they will also provide maximum comfort for your horse. This item give lateral control and measures 1 1/8'' in rings and 14mm mouth. Your online source for Horse Tack Supplies and Slow Twist Full Cheek Bits. This item is made of top quality materials that will last a lifetime. Each and every one of our Slow Twist Full Cheek Bits is on sale now. 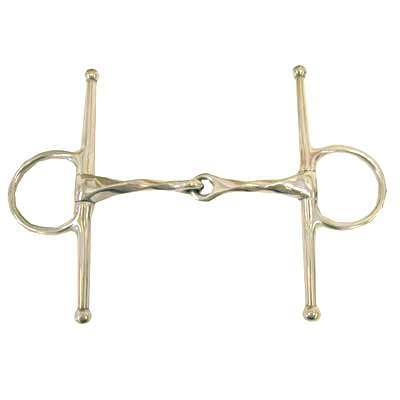 Take a look at our horse bits and we are certain you will find what you are looking for.